Cherish as there is light at the end of the tunnel, says your Pisces 2019 horoscope! You will see your seeds for long-term dreams, goals and ambitions begin to sprout. 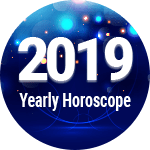 Just hit the pedal to the metal as it is the best time to work hard and embrace the results, tells your Pisces 2019 yearly horoscope. Have you been feeling lost since some time? Or do you have long buried questions in your mind about yourself? Then the answers are right at the corner! An exploration of your true self will happen during this year and you will stop beating around the bush and realize what are your actual needs. It is said that good things take time to happen and everything will not be a piece of cake. There will be ups and downs during this year, but you will be able to make considerable progress in many areas. Just remember that hard work always pays! You will also find yourself sitting on the fence while taking important decisions, but don’t bite your nails over it as your well-wishers are going to support you through it, as per your Pisces horoscope 2019. What good is to arrive when Elvis has left the building? So, Pisces Horoscope 2019 advise to students that, bunking the classes, not paying much attention to your studies, and keeping the books out of your focus will prove non-beneficial to you instead, give your full attention to the studies. You will also understand the importance of burning the midnight oil and that there are no shortcuts to success, as what you sow is what you reap! You may get distracted by some problems in relationships but try not to get bothered by it, every difficult phase shall pass and there is a bright morning after a stormy night. You may enjoy all types of amenities this year. It’s time to make merry as the Pisces Horoscope 2019 shows that there are better plans for those who are doing a job. Pisces Horoscope 2019 Overall rating: 4.8 out of 55 based on 1433 reviews.